There are thousands of unwanted cats in the UK. One of our aims as a charity is to promote champion and encourage neutering. A female cat can give birth to three litters of kittens per year, with an average of four kittens per litter, in an average lifetime of 15 years for cat. This could result in up to 180 kittens in her lifetime. 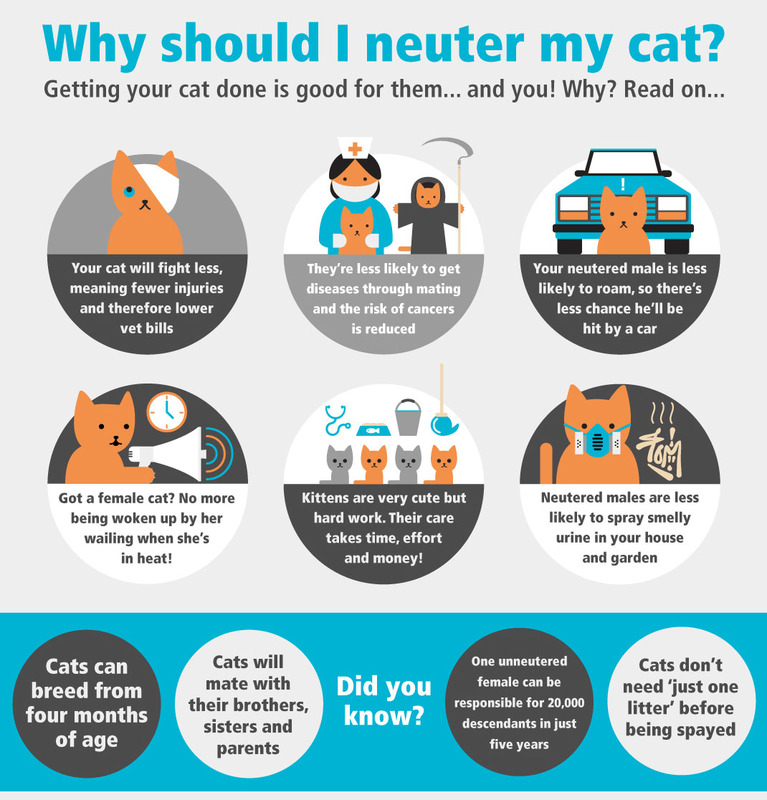 Our recommended aged for neutering your pet cat is four months old. We may be able to assist you with the cost of neutering read more about this by following the link.